Recent graduates check in at the Homecoming tent. 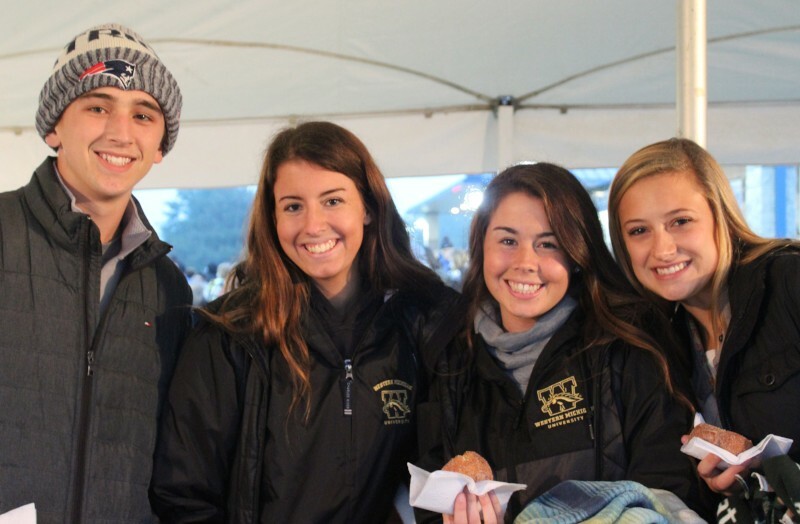 Friends and family gather annually for re-acquaintance at the Homecoming football game. The Alumni Association welcomes you to the Alumni tent in the south end zone of Maple Stadium, and to a complimentary donut and cider to enjoy. Door prizes, spirit wear shopping, lots of conversation and even seeing some long-lost classmates who happen by are the order of the evening.